The on-again-off-again redevelopment of Willets Point in Queens is finally moving ahead, after an injunction early last year seemed to have doomed the project. As first reported in the New York Times, Mayor Bill de Blasio has struck a deal with the project’s original developers, and 1,100 units of affordable housing are now set to rise on the parcel. First announced in 2011 under former mayor Michael Bloomberg, the original Willets Point project would have repurposed 23 acres on the site of the former Shea Stadium in Flushing-Corona. 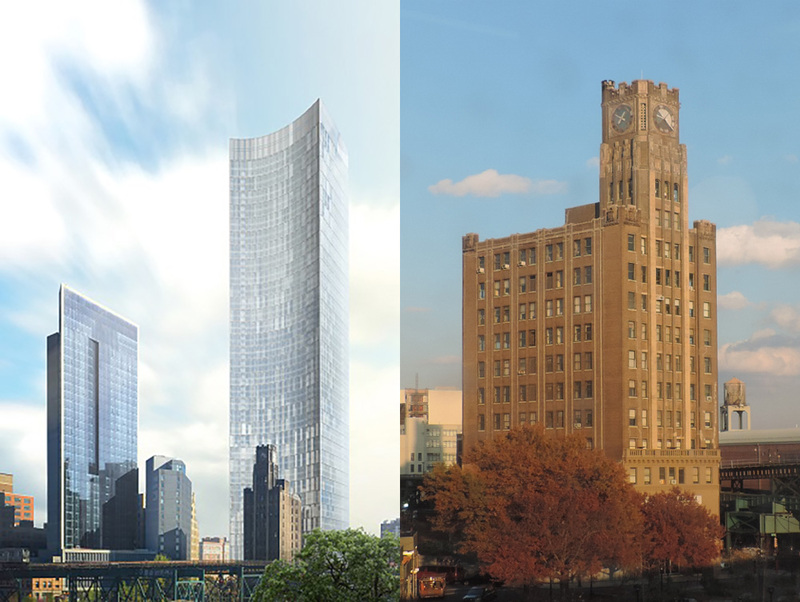 Queens Development Group, a city collaboration with developers Sterling Equities and The Related Companies, would have built out 4.5 million square feet of mixed-use development with 2,500 units of housing, 500,000 square feet of office space, 900,000 square feet of retail. 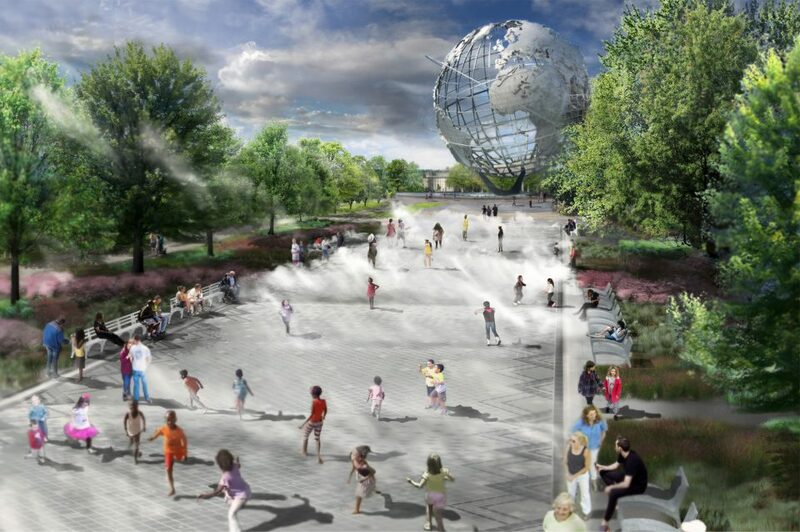 The most contentious portion of the original redevelopment was Willets West, a one-million-square-foot-plus mega-mall that would have pulled land from the nearby Flushing Meadows Corona Park. After a state court ruled in 2015 that the city couldn’t legally parcel up the park, Willets Point seemed dead in the water. 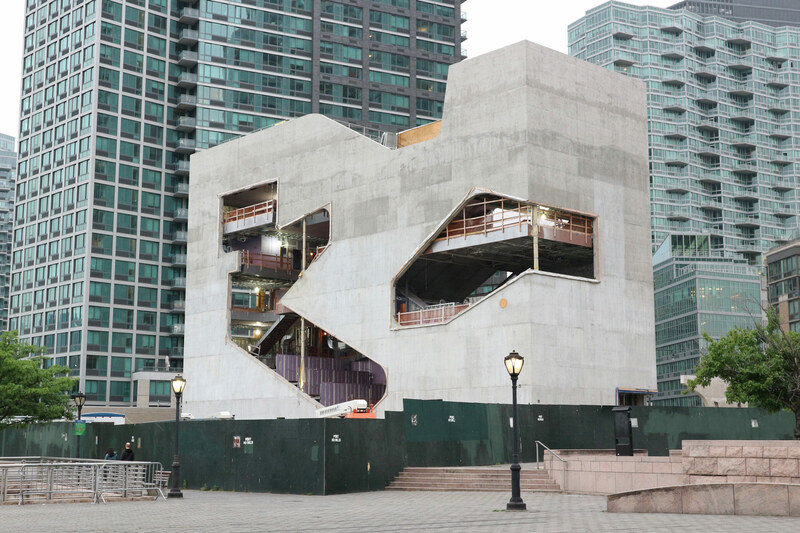 With the announcement of a new plan for the Iron Triangle (as the neighborhood is known for the high number of auto repair shops), de Blasio has skirted around the state’s concerns by dropping the mall entirely. Instead, the Queens Development Group will now build 1,100 affordable housing units on the six acres that the city already owns, in addition to a 450-seat elementary school and front-facing neighborhood retail. 100 apartments will be set-aside for formerly homeless families, and another 220 will go to seniors. Other than the increased number of affordable units, 1,100 units versus the original 875, the city will retain control of the land instead of selling it to the developers as originally promised. 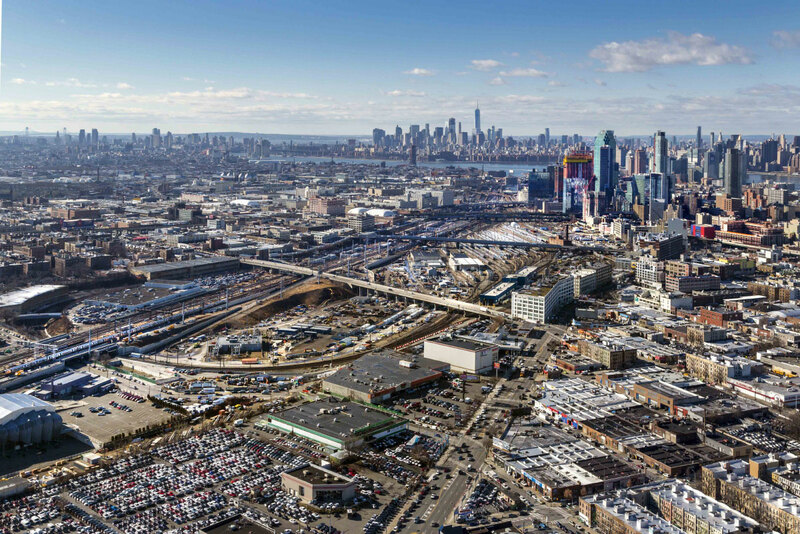 Related and Sterling will also be responsible for remediating beneath the project site before construction on the residential buildings can begin; Willets Point has been used for manufacturing for a century. 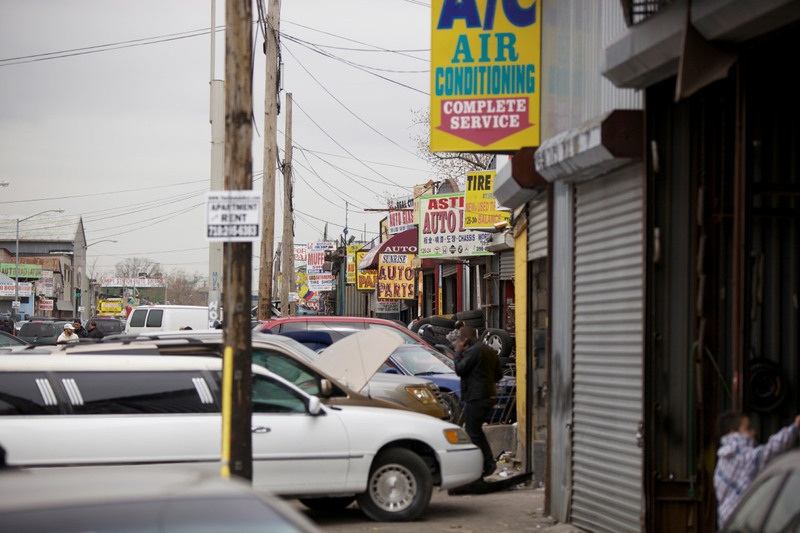 Most of the immigrant-owned auto shops and scrap yards are now gone, after the city seized the land under eminent domain in preparation for the redevelopment. The site clean up is expected to finish in 2020, with 500 of the 1,100 units to be completed in 2022. 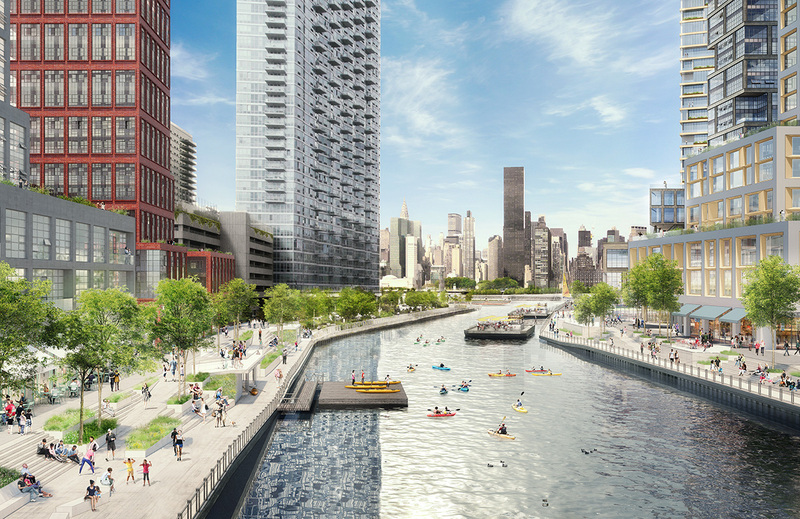 The plan for the remaining 17 acres is up in the air at this point, and Mayor de Blasio has convened a task force with Queens Borough President Melinda Katz and Council Member Francisco Moya to come up with further development plans. “Willets Point has been 12 years of bad politics and broken promises. With this deal, we can look to providing some great housing relief for a lot of people who need it. By securing school seats, deep affordability, and senior housing we have accomplished something none of the previous iterations have been able to,” said Moya. 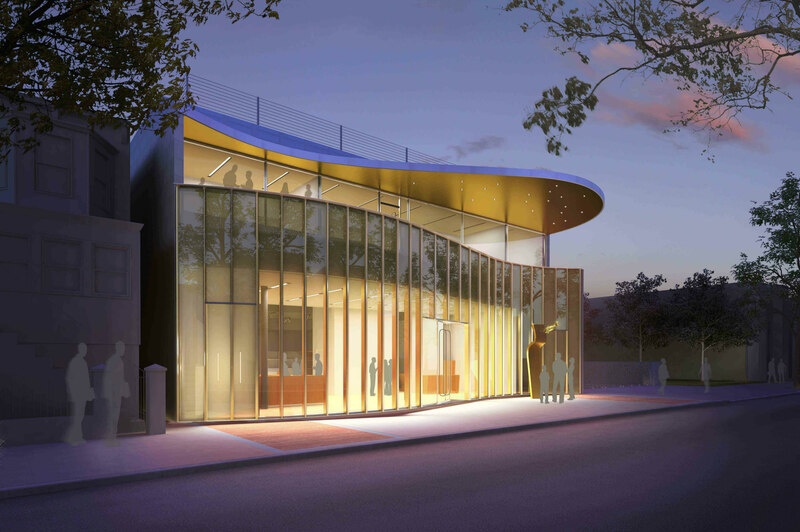 The Louis Armstrong House Museum in Corona, Queens, broke ground on its long-awaited expansion project, the new Education Center, today. The project is located across the street from the landmarked house of the legendary jazz musician. The new $23-million, 14,000-square-foot center will allow the museum to offer expanded programming, including concerts, lectures, exhibitions, and community events. The museum’s research collections, which are currently housed at Queens College’s library, will move into an Archival Center on the second floor. 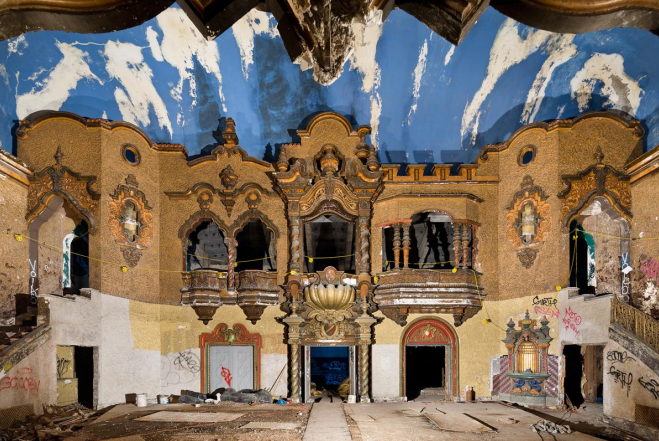 There will also be a Jazz Room for musicians to rehearse and perform their music, fulfilling the living legacy of the Louis Armstrong. 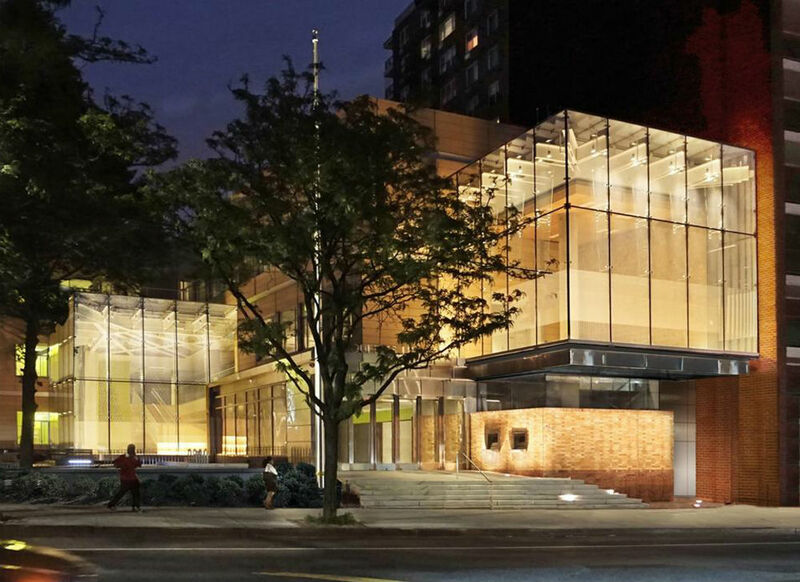 In 2006, the State of New York awarded Queens College and the City University of New York (CUNY) $5 million to begin the design process, and in 2007, the Department of Cultural Affairs gave another $5 million. 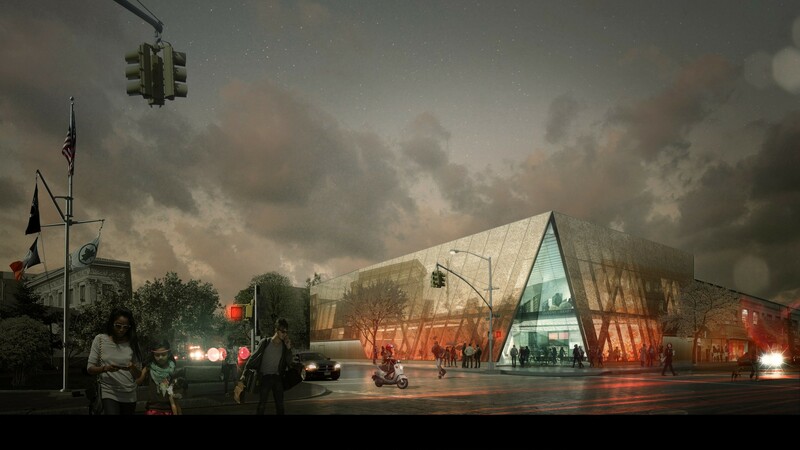 New York–based Caples Jefferson Architects was selected to head the design of the center. Once it is completed, the firm will seek a LEED Gold rating. 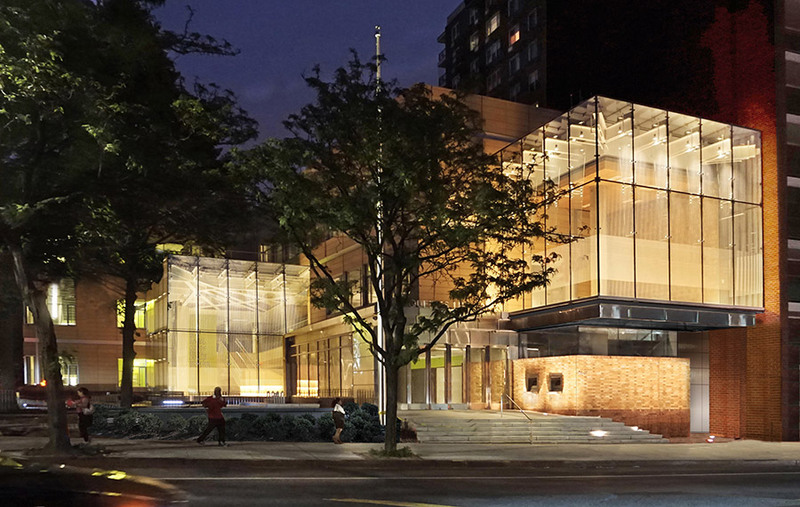 The center’s facade is composed of three sections: curved window panes along the bottom, a flat, recessed middle section with a terrace above, and a green roof on the top. Its entrance is placed at an angle along the curved facade to establish a direct visual connection to the house, according to the architects’ description on their website. Openings in the roof allow light to cut through, illuminating different heights of the exhibit spaces and research rooms. “The groundbreaking for the Education Center is the next step toward creating a Louis Armstrong campus,” said Michael Cogswell, executive director of the museum, in a press release. “There is nothing else like it in the jazz world.” Louis and Lucille Armstrong purchased the house (which is the museum today) in 1943 and lived there for the entirety of their life. 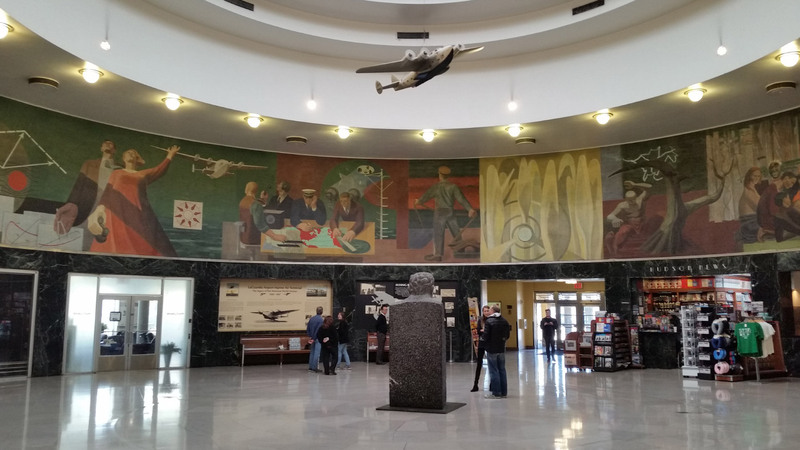 The site is a National Historic Landmark and a New York City Landmark, now owned by Department of Cultural Affairs and administered by Queens College. The project is slated to finish in 2019.